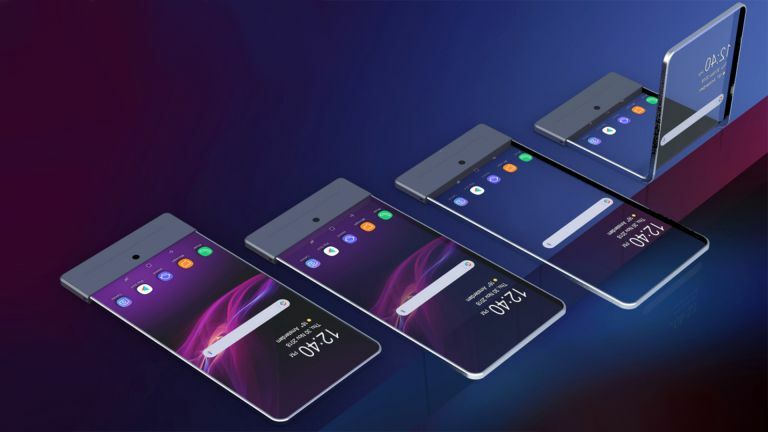 Sony is working on a new Xperia phone that is not only foldable, like the Samsung Galaxy X, but also features a transparent screen. Patents filed by Sony have been uncovered by the ever reliable letsgodigital, which show off the new Xperia handset concepts. While a folding phone is exciting in itself, one with a transparent screen really takes things to another level. So far transparent phones have been a thing of futuristic fantasy, featuring in several sci-fi movies, but the reality is yet to be mastered. One manufacturing challenge is storing components without blocking the see-through display. A transparent screen could be a great way to use augmented reality features which can overlay information on the real world beyond the screen. Like a window into another world that combines virtual and reality. The patent also shows the phone can blank out the background making the screen non-see-through too. The phone is also shown as foldable, meaning it can be super portable while remaining as large as possible when folded out. In an age of bezel-free screens this handset would likely look older in some ways as all those components would presumably be hidden in the bezels. But then it would be transparent. Sony is known for pushing boundaries with the first 4K display, first Super Slow motion video and plenty more. We could see this wonder phone revealed as soon as Mobile World Congress next year.